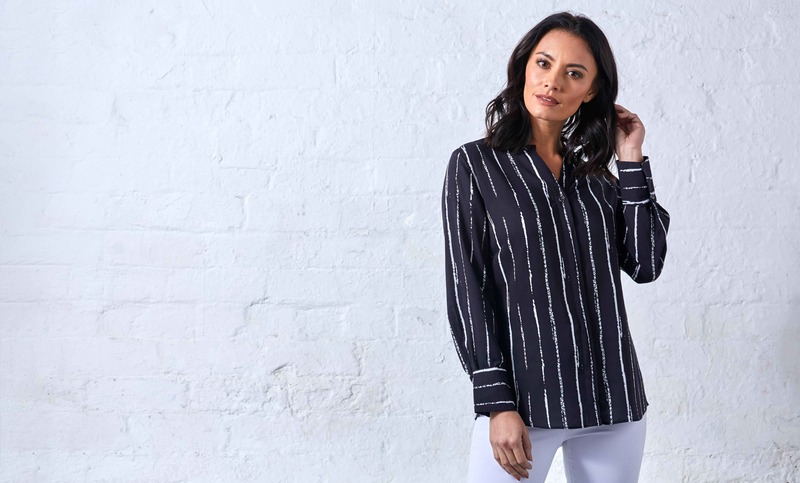 Soft touch flowing fabrics, striking details and contemporary styling adorn a versatile collection of feminine shirts and blouses for women designed for both work and play. Choose from a fresh colour palette of pale blues, summer pinks and neutral tones all portrayed through the use of floral prints, patterns and classic checks. This cutting edge collection takes superb attention to detail to a whole new level with soft gathers, stylised cuffs and superb stitch detailing. Shop womens shirts, tops and blouses by Double TWO Woman at Double TWO.